Review - 42ka1.in - Get the best out of Online Sales | The Shopaholic Diaries - Indian Fashion, Shopping and Lifestyle Blog ! Hope you are all geared up for the weekend, because I certainly am with plans to go for a brunch and shopping with one of my dearest friends who will be flying back to her country next week. Coming back to today's post, I will be reviewing a website with a unique name as well as a unique concept - 42ka1.in . Don't just go by the name, this interesting website is here to solve all your online shopping dilemmas. With the launch of an online shopping website every now and then in India, we have surely got a wide number of websites to browse and shop from. But this has also led to a lot of confusion as every other Indian e-commerce website offers amazing discounts and it gets difficult being a consumer to track the best discounts and sales among these websites. Here's where 42ka1.in comes in to make things easier for us. The website scores on its concept and offers which are way better than many other coupon websites which offer expired or low value coupons. The website provides a choice of the best brands in town and high quality products that have genuine discounts. The theme and layout of the website has been kept really simple yet impressive which is very user-friendly. One can either search for the desired brand/seller by filling in the option at the Top search bar or select from the given categories - Men, Women, Kids and Baby. 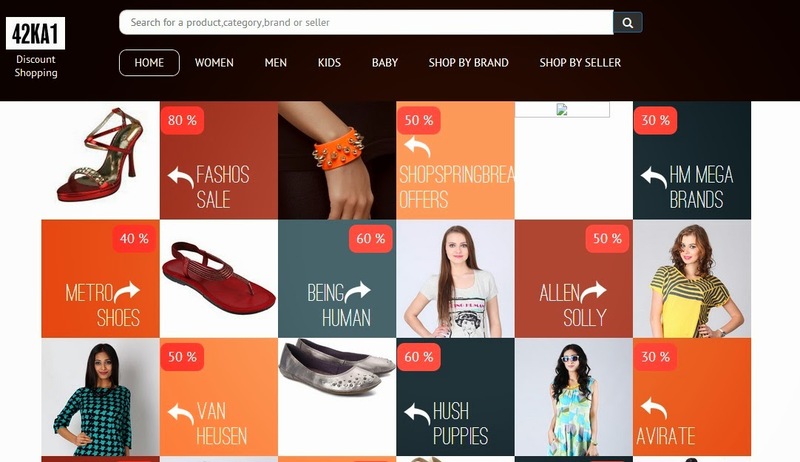 One can choose for advanced search by using Refine options like Price, Gender, Category and Seller. You will be able to see the MRP, discount % and the discounted price of each product. You can also easily Shop by choosing from the available Brands or Sellers by clicking the option from the Navigation bar. By clicking on the desired product you will be re-directed to the seller's website where you can see the discounted product and purchase the same. Overall, I found this concept really helpful and easy-to-use as compared to many other discount/coupon websites which are somewhat misleading. The website already has more than 40,000 listed products with discounts more than 30%. 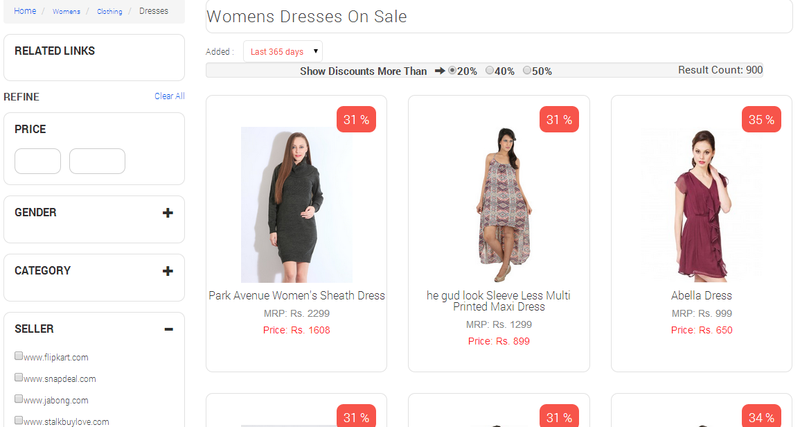 I believe this website would be really helpful to many online shopping lovers like me who love finding fabulous discounts online and getting the best deals. Have you checked out the website yet? Let me know your views about it in the Comments below. I read your article. You have got a great idea. I really like your blog and appreciate your work. I like all the dresses, footwear and other accessories provided by you.